Eurofins Pharma Quality Control offers chemical and microbiological analyses with a strong expertise in pharmaceutical analyses. Eurofins Pharma Quality Control offers chemical, biochemical and microbiological analyses with a strong expertise in pharmaceutical analyses. Since 2000, IDmyk has developed market-leading expertise in establishing the genetic identity of microorganisms to support product or process-related investigations. As such, IDmyk has the largest validated proprietary database for Good Manufacturing Practice (GMP) identification service in the industry. Eurofins Bactup specializes in microbiological services for the Biopharmaceutical industry. The teams are composed of qualified and experienced microbiologists which perform a wide range of services in microbiology. 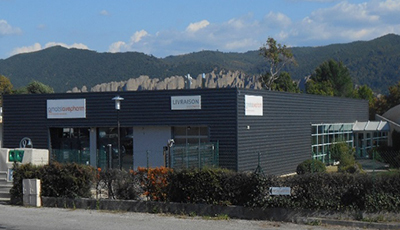 The laboratory was founded in 2007 and joined Eurofins Group in 2018. Chemical analyses of raw materials, packaging, biopharmaceutical substances and finished products. Eurofins Amatsigroup Peyruis offers microbiological analyses with a strong expertise in pharmaceutical analyses since 2000. The site of Peyruis is a pharmaceutical site for manufacturing and importation registered under French license # M 16/331.